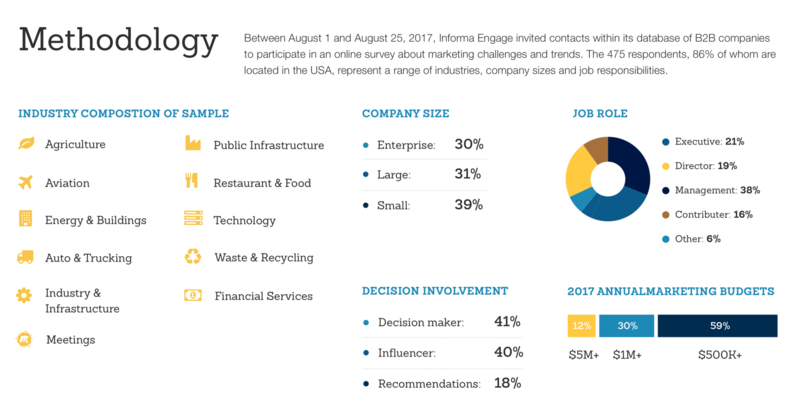 Informa Engage connects marketers with B2B decision makers. By combining unrivaled reach, deep knowledge of specialist markets and sophisticated marketing, we engage buyers – activating real results for marketers. We will use your personal information to send you newsletters, offers or other marketing emails that keep you up to date with news, events, products and research opportunities, from Informa Engage and other companies that may be of interest. Depending on the nature of your interaction with us and the laws of the country where you live, you may have actively given us your consent for this, by opting in, or we may be entitled to rely on your implied consent or our legitimate interests. The opportunity to opt out of future marketing emails will always be provided, and information on how to do this given when your personal information is collected and on every marketing email sent. Similarly, if you access third-party resources in certain registration-only, or “gated”websites, resource centers, or directory services on our websites, we may share your registration information when you access or click on a link to technical resources provided or sponsored by another company. This includes third-party resources sold through our online stores. In addition, we may share your contact information with sponsors of a particular e-newsletter if you click on their information. If you do not wish to have your information shared, the opportunity to opt-out is provided in the e-newsletter. When you register for an in-person or digital event, your registration information is provided to the sponsor(s) of such event. This information may also be provided to sponsors of special sessions within the larger event. We may use your personal information, combined with publicly available data and demographic data,to maintain our customer database and carry out internal analysis of the usage of our products and services. This is done to improve those services, develop new products and predict future customer behavior, as part of our legitimate interests as a commercial organisation. This may include automated profiling and campaign management techniques. You may choose to participate in online membership communities on our sites that allow you to create and publish a profile and other personal information. These communities may provide privacy controls that allow choice in how much of your profile and other information to make public or to share with others within the community. Privacy controls are usually found on the page on which you edit your profile, and each individual is responsible for understanding how those controls work, including default settings, and choosing how the information provided is shared and protected. By participating in these online membership communities you may be contacted by other participants using the information provided. When you disclose personal information on any public community boards or chat areas of this website, or any other website used as a result of use of this website, such personal information can be collected and used by anyone who views that board or area. This may result in unsolicited messages from other participants or other parties, outside of our control or responsibility. Depending on the laws of the country where you live, you may have rights related to our decision. For example, if you live in the European Union, you may have the right not to be subject to our decision, or you may have the right to insist on human intervention in the process, express your point of view or contest the decision. To exercise any such right, please contact us via one of the methods set out in the “Contact Us” section below. In some cases, we may have the right to continue with our decision, in accordance with applicable laws. This will be explained if it is the case. Otherwise, we will respond to your request as promptly as reasonably possible. Any personal information given to us will be treated with the utmost care and security.This section sets out some of the security measures in place. We apply appropriate protection to make sure your personal data remains adequately protected and is treated in line with this Policy. Informa Engage has put in place international data transfer agreements between its companies and with relevant third-party service providers based on standard contractual clauses approved by the European Commission. As an international company, to provide you with services and products we may share your information for specific reasons. This section explains how and why we share personal data with other companies within the Informa Group , our suppliers, and other third parties. We may share your personal information with certain other companies within Informa for specific purposes. For example, other Informa companies may assist us in providing products and services to you, in carrying out internal analysis of the usage of products and services, or in offering products and services which may be of interest. We only share your personal information with such third parties, if and to the extent necessary for them to provide such assistance. We may share your personal information with trusted partner organisations for their marketing purposes, in accordance with local data laws and where appropriate your consent. If your personal information is subject to European data protection laws, we will not share it with third parties for their marketing purposes, unless you have actively given us your consent to do this. We will process your data to send marketing information that we believe is targeted and of interest to you. If you are a registered user, you can access your account information and make corrections or updates upon log-in. The accuracy of such information is solely your responsibility. Information on how to opt out will be given when your personal information is collected and specified on every marketing email sent. You may opt-out of our email marketing lists by following the directions at the bottom of our emails. Please note that Informa Engage has a number of brands and products and we allow you to opt-out selectively. To remove a specific email address from all of Informa’s marketing communications, send a request to privacy@informa.com. If you wish to remove your email address only from a specific brand, please use the opt-out mechanism provided in emails you receive from such brand, or contact the brand directly. You may receive email marketing messages from us about other companies’offerings as part of a business partner marketing program. To opt-out of a business partner marketing email program, follow the instructions at the bottom of any email sent as part of the program. Please note that opting-out of promotional mailings will not affect delivery of your subscription-based products. To remove a specific phone number or fax number from a specific brand’s marketing communications, please follow the opt-out directions provided during or in those communications. To remove a specific phone/fax number from all of Informa’s marketing communications, send a request to privacy@informa.com. Informa Engage operates in countries with data protection laws that may provide individuals the right to be able to access and control their information. We always will enable you to be able to exercise the rights provided by data protection laws. If you would like further information on your rights or wish to exercise them, please email, privacy@informa.com or write/call us at: Informa Customer Service, 9800 Metcalf Avenue Overland Park, KS 66212, Phone: 913-967-1710.